Lake Erie infielder and former 2016 CWLer Joel McKeithan was named Frontier League Player of the Week. 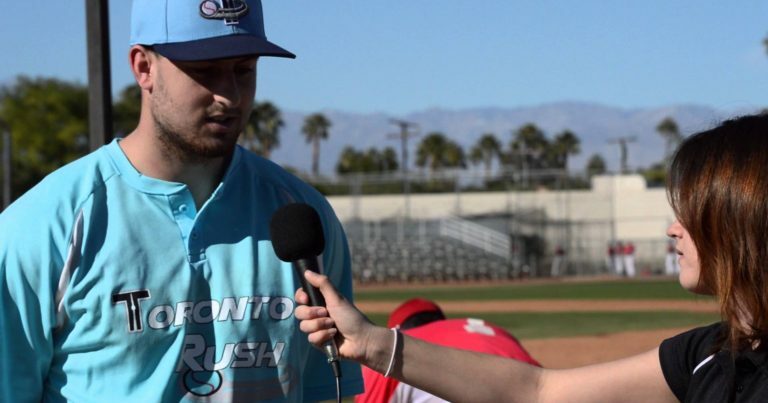 Coming over to the Lake Erie Crushers after spending the beginning of the year with the Gateway Grizzlies, McKeithan earns his honors by hitting .458 with two doubles and two homeruns over a six-game stretch. McKeithan also added six runs batted in and two stolen bases and helped the Crushers pick up two wins over the Florence Freedom. McKeithan helped lead Lake Erie to a win over the Florence Freedom by going 3-5 with one run scored and two runs batted in. The Arden, North Carolina native has posted career numbers of .259 batting average while slugging 12 home runs and 22 doubles and driving 57 runs in two seasons in the Frontier League. McKeithan was drafted in the 39th round by Colorado as a shortstop in the 2010 MLB Draft. He played 35 games as an infielder for NC State in 2015, played for Vanderbilt University from 2010-2013. Joel came out to the California Winter League in 2016. McKeithan was a member of the Newport Gulls of the NECBL in 2012 and 2013 as well as a 2013 NECBL All-Star. His Grandfather, Jerry McKeithan Sr. played professionally for seven years in the St. Louis Cardinals organization while his father, Mack McKeithan Jr. played baseball at N.C. State.